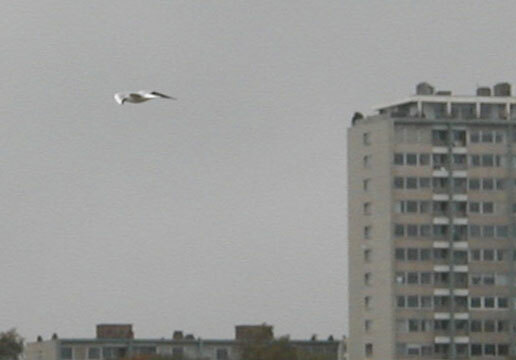 A seagull photographed under an unusual angle. In UFO circles, photos like these are often believed to show top secret aircraft built with technology derived from crashed alien spacecraft. Photo taken in Antwerp, Belgium.